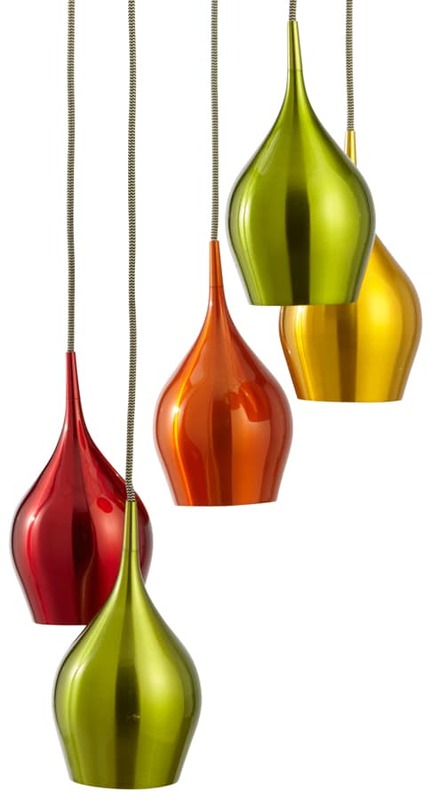 A wonderfully vibrant multi-drop ceiling pendant light consisting of five curvaceous multi-coloured aluminium shades, all suspended at different levels from separate black and white chevron vintage style flex chord. A truly vivacious room brightening light ideal for adding a splash of colour and visual impact to an entrance hall or the larger dining area. 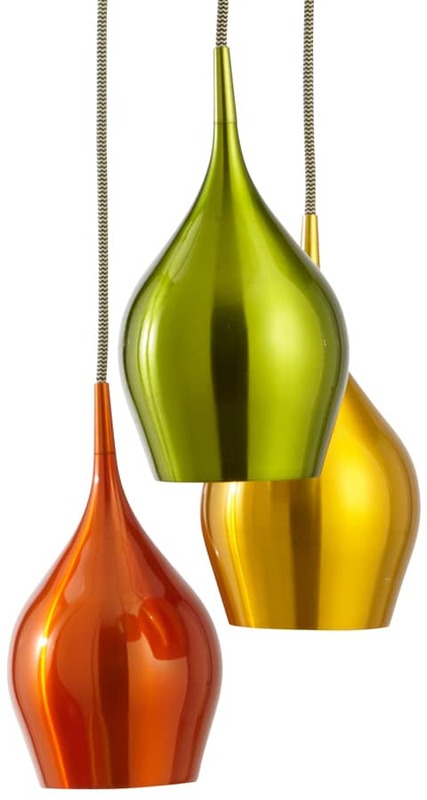 This pendant light accepts an E14 (SES) small Edison screw type of candle shaped lamp.